It's been a cold day, so I needed a beach flashback! 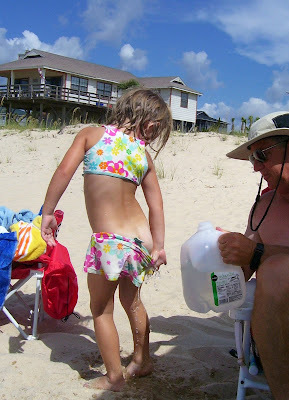 Poppa helps Sassy with her sand issues! This is one of my favorite pictures from Beach Trip '06. i miss being little and fit and full of energy! Yep, speaking from personal experience there's nothing fun about sand in the bikini bottoms! Cute pic. 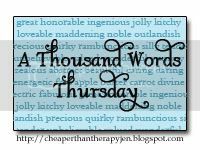 Happy ATWT! Look at that little tan line! HAHAHA! That is so cute! I'm glad she got it all taken care of! SO perfect! A family classic, for sure.